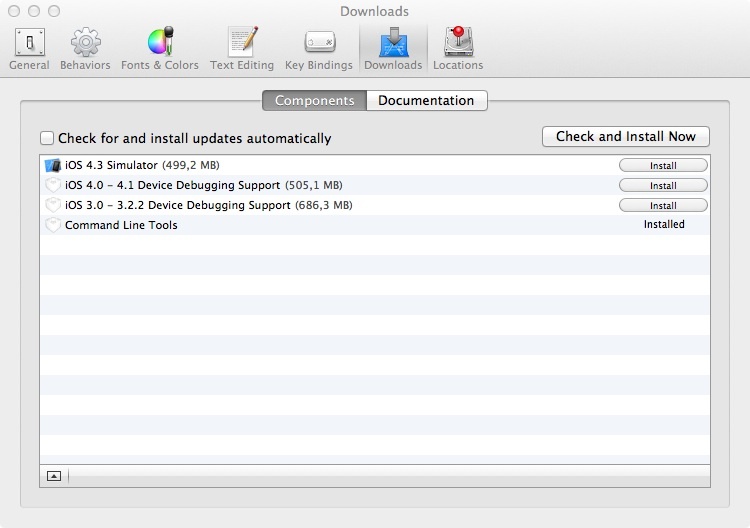 Update: a new version of JewelryBox (1.3) is out and is compatible with OS X Mountain Lion. You can download it from here. It’s a long time since I wrote my last article on my blog. I’m back, talking about Ruby. I don’t want to explain you what Ruby and Rails are or do, because if you want to install them you already know everything you need (I hope…). With early Ruby release the installation of a complete Ruby environment was not totally painless. 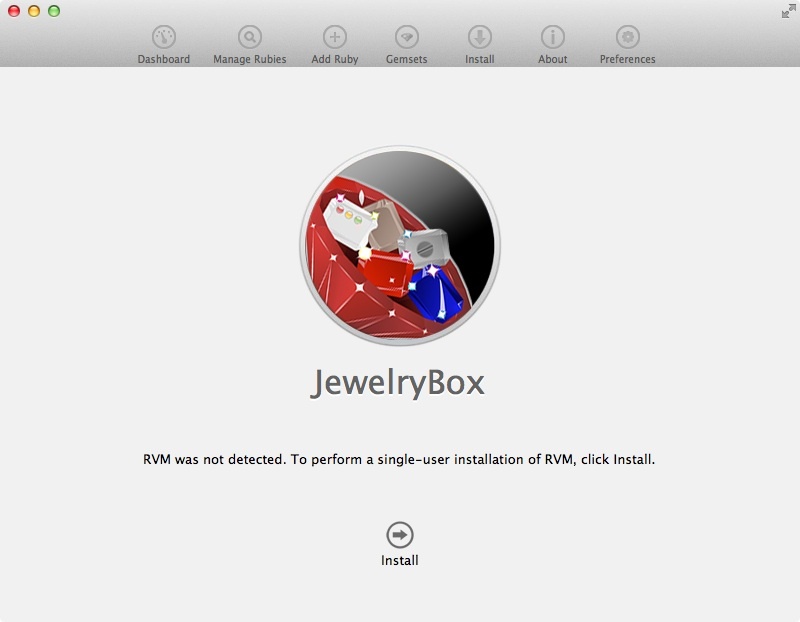 Now, with RVM and the great graphical front-end for Mac OS X, JewelryBox things are very simple, like 2-clicks. With this article I’ll show you the step-by-step guide to install Ruby (1.9.3-p125) on Rails (3.2) on Mac OS X Lion (10.7.3). 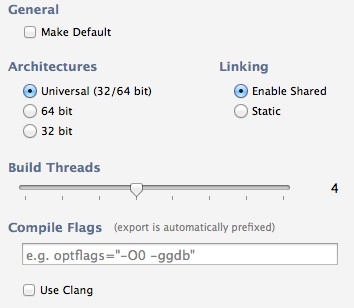 To install “Command Line Tools for Xcode” open Xcode -> Preferences -> Downloads -> Components -> Install (on the right of Command Line Tools). 3) Download JewelryBox from Unfiniti website and install it. 5) Once installation is complete, choose “+ Add Ruby” from the upper menu selecting which Ruby version do you want to install (1.9.3-p125 is the latest stable version actually), and leave all the default options enabled. Note that in the older versions of Ruby (1.9.3-p0 or 1.9.2) and Xcode (4.2) you needed to select the “Use Clang” flag for a successful Ruby compiling, but this caused Rails installation to warning you about missing yaml (or libyaml) support. Now everything has gone. $ >= 1.9.2 : nothing to do! Yay! If you need a great and powerful Ruby on Rails editor: Vim (from terminal) or MacVim are my favorites with rails.vim great scripts. Alternatives are the expensive TextMate, or the free Komodo Edit . If you need some great books or resource to learn Ruby and/or Rails take a look at: Try Ruby, Agile Web Development with Rails. If you want to comment this post, that would definitely be a great follow-up. Hope you enjoyed this simple guide, have a nice day. Sitti, sembra interessante. Mi hai aperto un mondo.